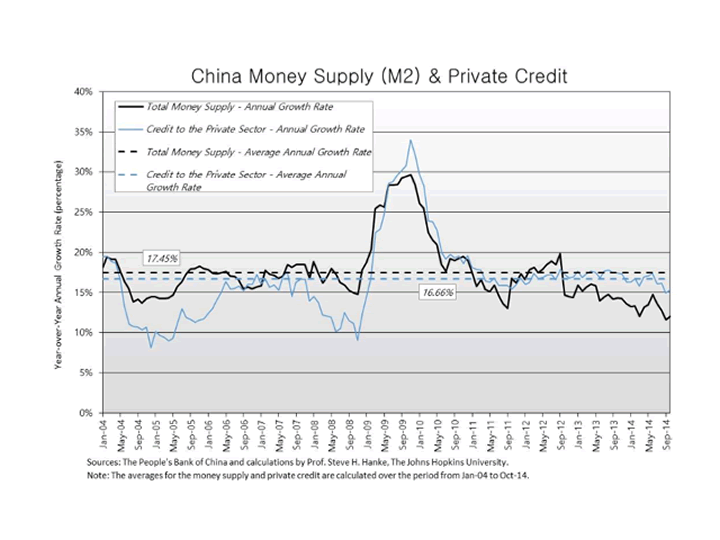 As shown in the accompanying chart, the average annual growth rate of China’s money supply since January 2004 has been 17.45%. At present, the annual growth rate for the money supply has slumped to 11%. China’s reduction in the banks’ reserve requirements is designed to push money growth back up towards the trend rate so that an economic slump is avoided. China has made the right move.